Uh oh, sorry for the harsh language. As I repeatably say, please shield your eyes if you’re a toddler Optipess reader. 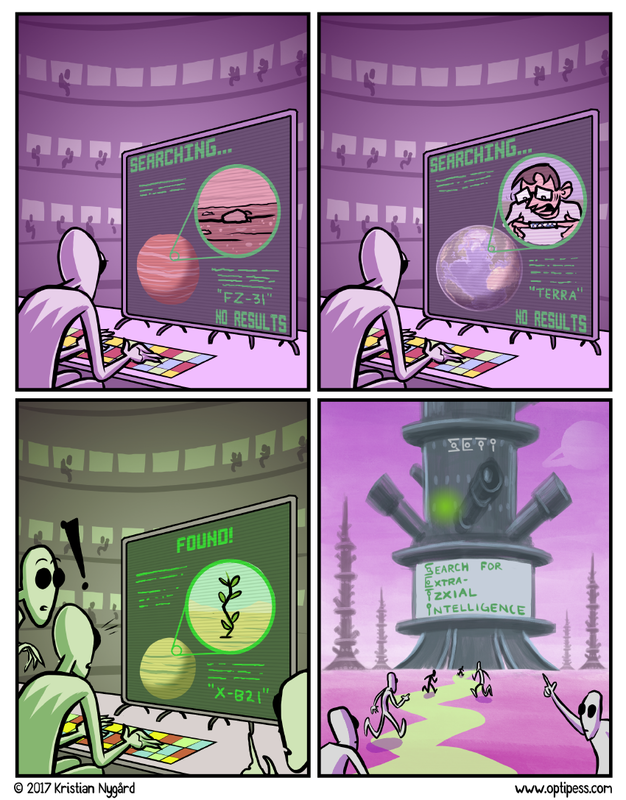 I did hours and hours of research in the mirror for that last panel. 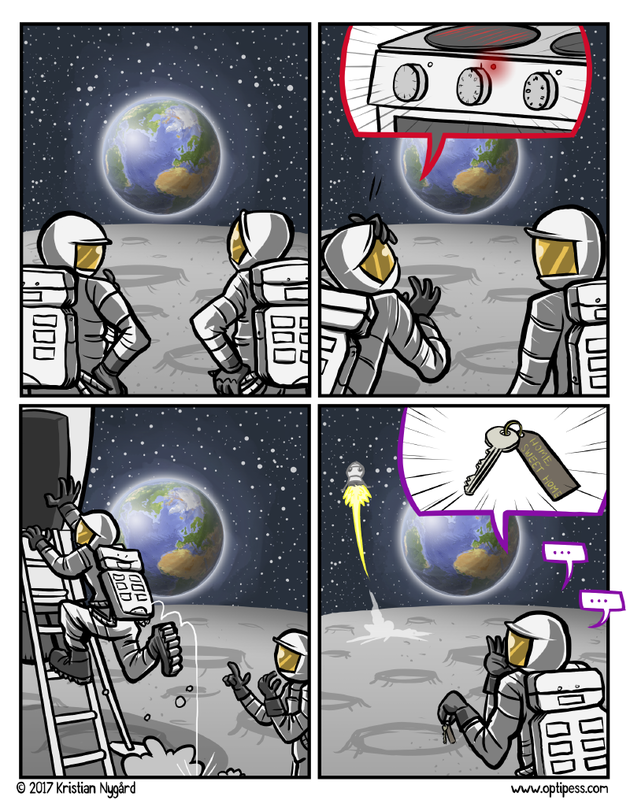 This is probably why I’ll never go to space. 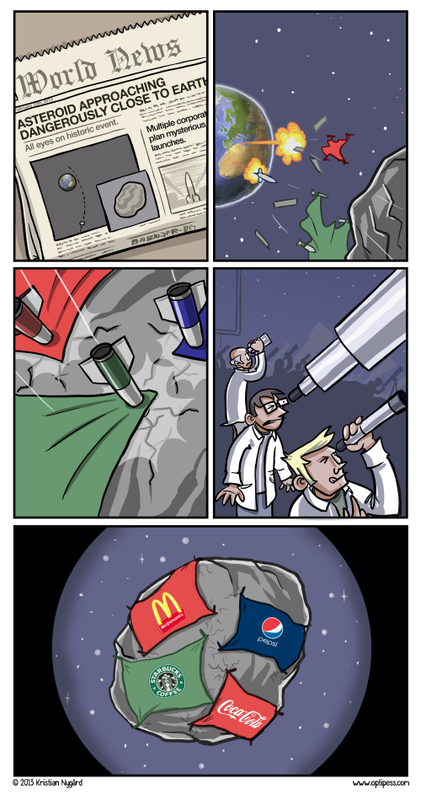 Another completely scientifically accurate comic! These stars also had a podcast, of course until they got sued by Neil deGrasse Tyson. Yup! Guess who watched the entirety of the new Cosmos series in a couple days. Beware your family pets! They are probably plotting to murder you. Especially cats, but they’re fortunately for us too lazy to set the plan in motion. 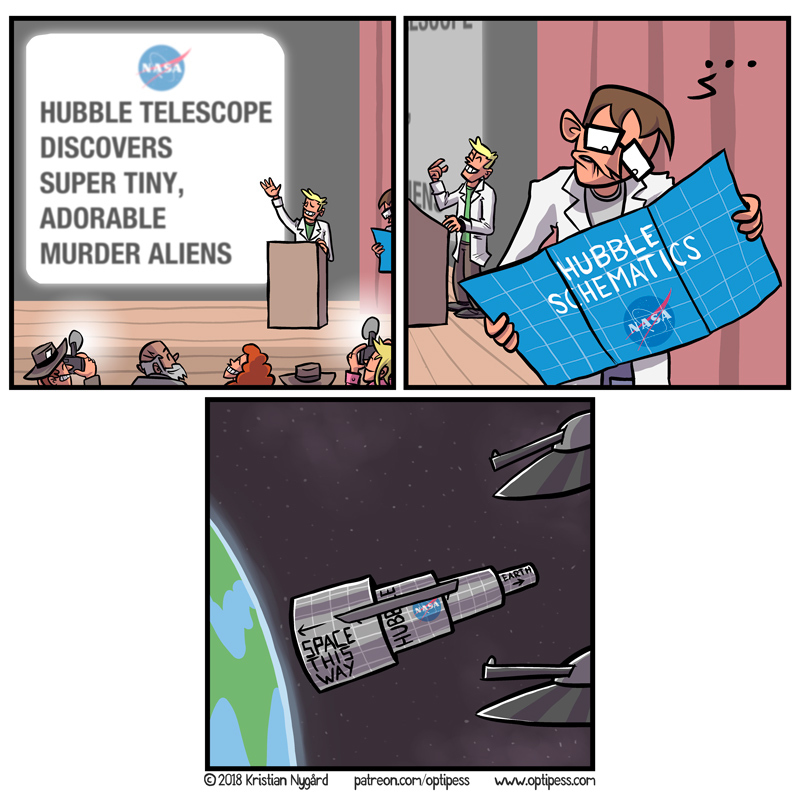 Here is a new comic coming to you from outer space! Also, apparently I didn’t already have a ‘space‘ tag, so I added it just now. 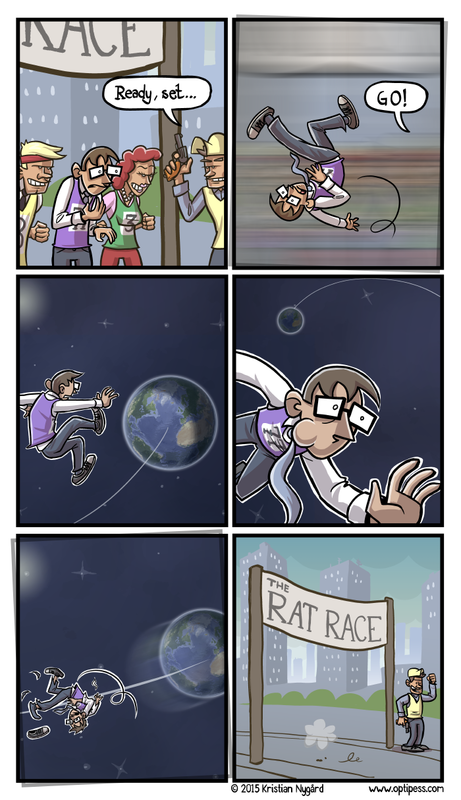 Click on it for more weightless comics. 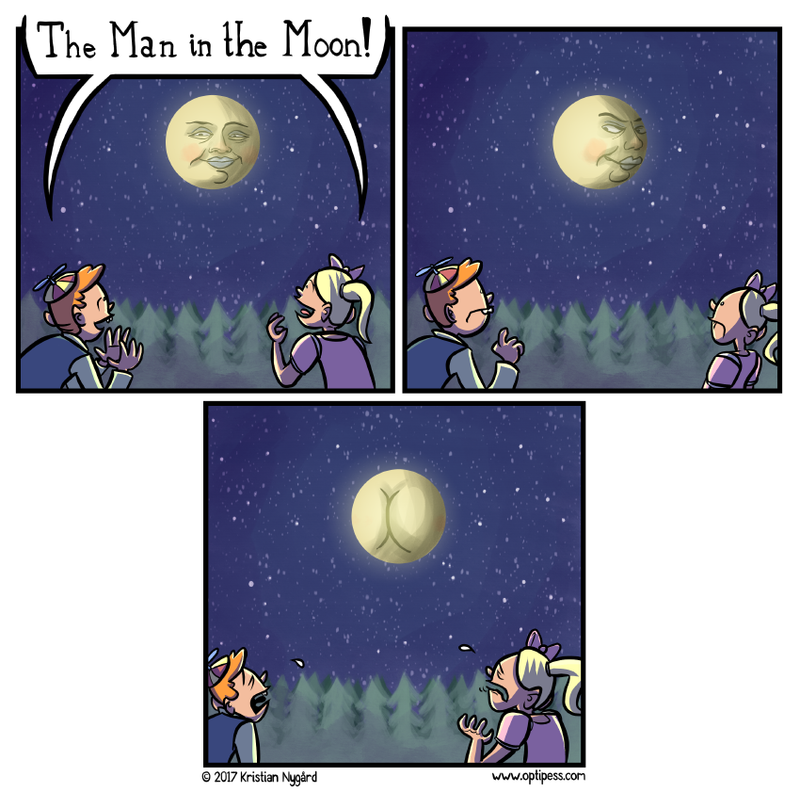 Edit March 3rd: You can now purchase a print of this comic over at Society6! Hello Monday! 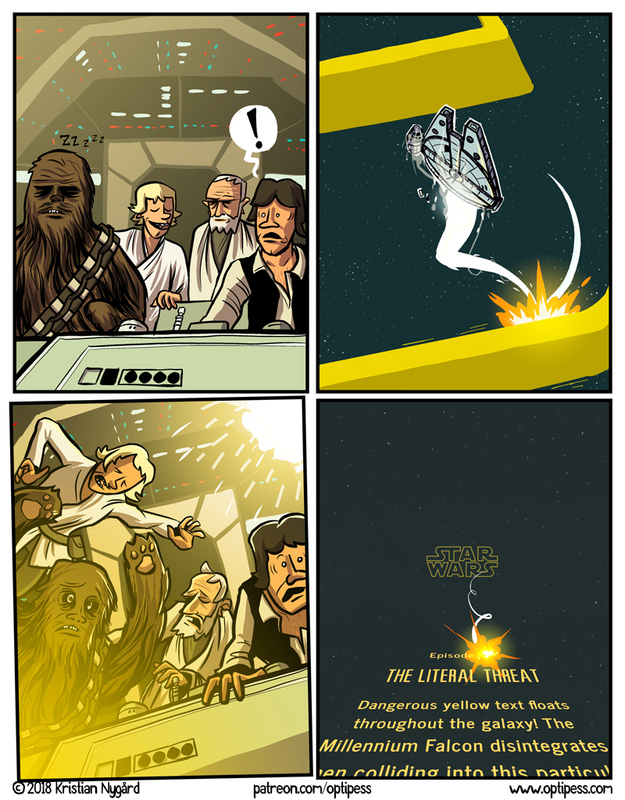 Please take a minute of your time to marvel at this new comic.